Most terry cloth is made with cotton because the absorbent fiber gets stronger when wet and it can be sanitized in very hot water using strong bleach and detergent without harm. Cotton terry cloth can absorb up to 27 times its own weight in water. Terry cloth also provides excellent thermal properties. Terry cloth is most often used for light heat applications in the industrial market. 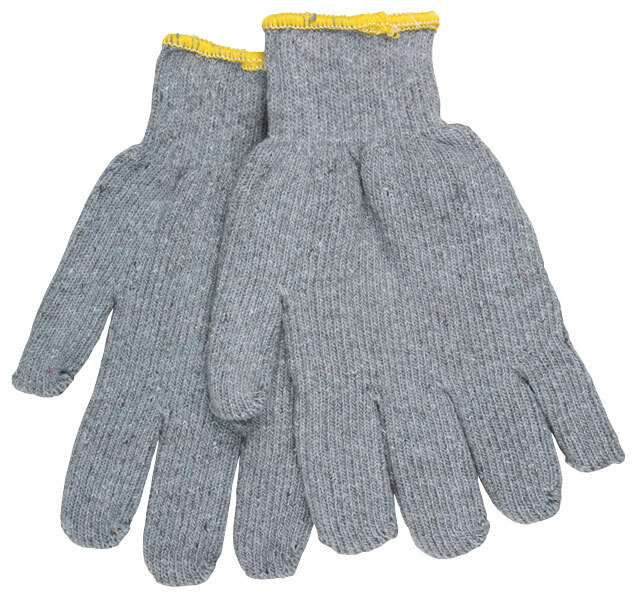 The 9414KM is a gray 16 oz regular weight terry glove that is made of a cotton/polyester blend. It features loop-in material and is seamless, reversible, and has a knit wrist. 9414KM is size small.